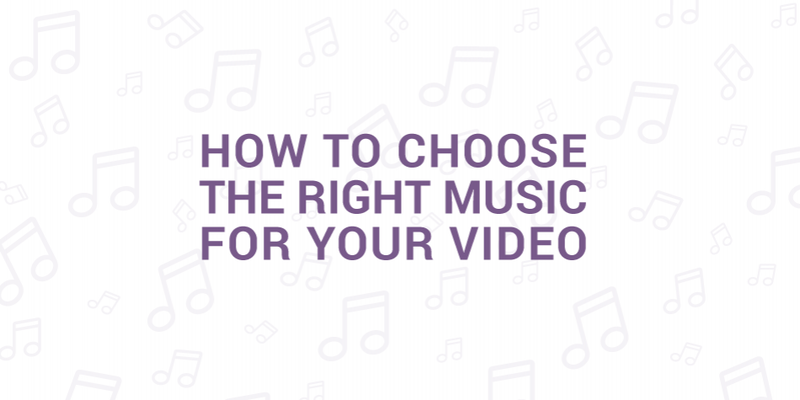 Choosing the right music track can play such a significant role in the success of your video. Music is the soul, the feeling and the drive that pushes your video forward and builds an emotional connection with your audience. Music can help make or break your video. Think back to your favorite advert or online video. The actors may have grabbed your attention, the message might have got you interested, but it was probably the video’s soundtrack that created that halo of engagement. If you’re looking for advice on how to choose THE perfect track for your video, then you have come to the right place! 😉 In this blog, we will give you what we believe are the best tips to helping you choose the right piece of music for your video or animation! Before browsing through the extensive range of music libraries available online, you need to take a step back and know what exactly the purpose of your video is. First, know the type of video you are creating, is your video’s core objective to be entertaining or informative? Is it product based or brand orientated? Is it positive or negative? Is it fast paced or slow? What is the general feel of the video? If your video is informative, choosing a loud underscore with vocals will distract your viewers, so it may be better to go with “elevator music”, the type of music that carries the emotion but does not steal the attention. If your video is fast and quick paced, maybe being used to sell cars, what music would you use and why? Take a look at these adverts below with very different soundtracks. 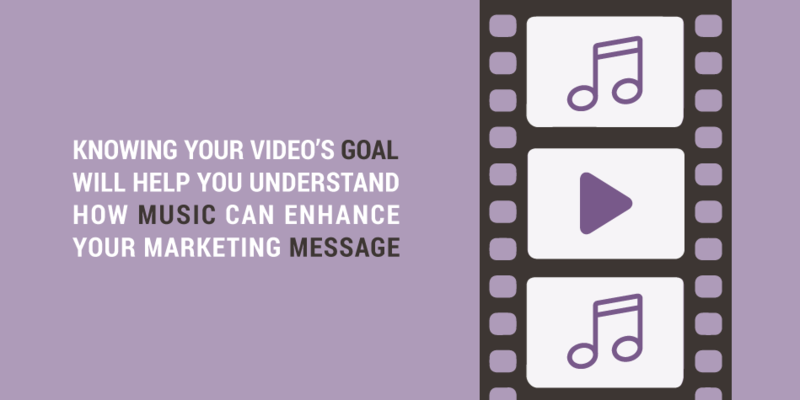 Your audience should always be considered when choosing the right song for your video. After all, you want to appeal to your target audience. If your video’s audience is greatly defined, you may look to increase the effect by applying music typical to that type of audience. For example, what type of music would you associate with a trek through the Amazon? Something tribal? Percussive? Try to narrow it down based on the content and the audience, and make it relate. It’s important to define your audience and understand what appeals to them! Music has the power to help set the mood. How do you want your video to be seen? Is it positive, direct and intriguing? How do you want your viewers to feel? Happy, heartbroken, full of suspense? We’re lucky to live in a world filled with online libraries that give you the opportunity to search for tracks based on moods, instruments, styles and every categorisation method imaginable. So sit back, relax and listen to all the music you need to, till you find the perfect track. It’s a good idea to write down the emotions you want to convey before starting, to keep you focussed and on track. Tip 4: Try a few different tracks before choosing the one. The process of finding the right audio track for your video usually involves countless hours of trial and error. Different songs can produce different emotions. If you’re working on a corporate video, don’t just use a song because it’s easily accessible. Start by creating a detailed playlist and slowly narrow it down till you find the right song. You can also check out our royalty free tracks, just sign up for free and head over to our market place and start choosing! We’d love to know which tracks you love and which ones you don’t! Check out this video to see the emotional power music gives a video! Tip 5: Instrumental or vocals. Choose accordingly. Choosing between an instrumental song or one with lyrics can be particularly tricky. Powerful lyrics can dramatically add to the story of your video. This doesn’t mean all lyrical soundtracks can add value, though. If your video has a voice over, you need to pay particular attention that your soundtrack doesn’t overpower the video’s audio or message. Make sure you have the rights to use the music that you want to use. There are tons of sites with royalty free tracks available for download and tons of others where you can buy them for commercial use. Do not illegally download a track and use it in your video, because it could end up a lot more hassle than it’s worth! Read through our tips, take the time and find the track that suits your video! Feel free to get in touch if you need a helping hand. We couldn’t help but share one of our favorite online videos for you to see. What other videos do you think perfected their soundtrack choice? Tells us in the comments, we would love to know! Now that you have found your perfect music track, it’s time to put it all together. Register now or sign in to your Moovly account to start mixing your animation and soundtrack.